Sample Container Press & Fit Type is Made of polypropylene, these disposable Containers are used for collecting samples of sputum or urine etc. Graduated on the outer surface, these containers have cap that work in a press & fit manner & make these containers leakproof. These disposable containers are E.T.O sterilized. 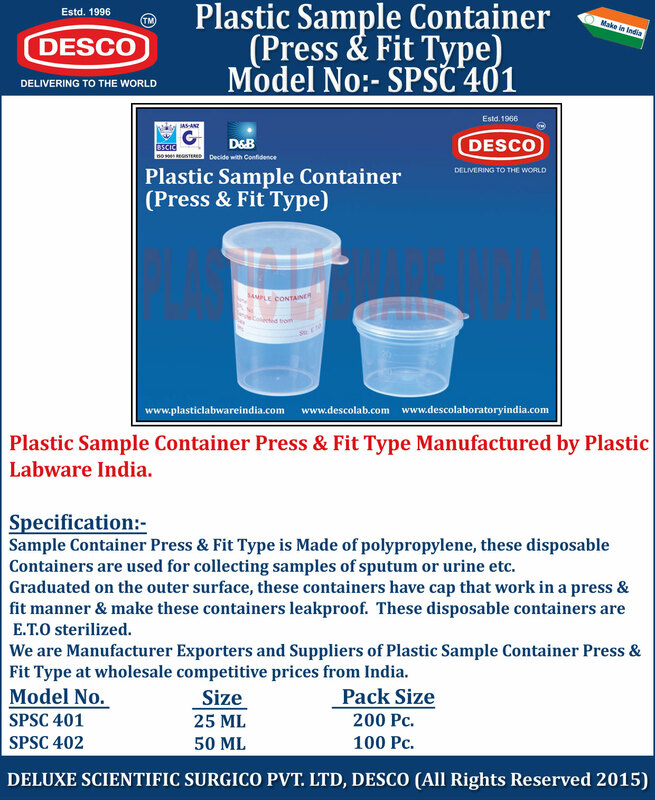 We are Manufacturer Exporters and Suppliers of Plastic Sample Container Press & Fit Type at wholesale competitive prices from India. SPSC 401 25 ML 200 Pc. SPSC 402 50 ML 100 Pc.